And yet, the streets (even the very busy ones) are fairly quiet. Japanese people tend to speak softly and with so many electric cars there wasn’t that much traffic noise either. Entirely the opposite of many other Asian cities I’ve visited, where the noise (and chaos) of tricycles, taxis and scooters is everywhere?. After I took a little nap to get over the worst of my jet lag, I started feeling the vibe of the city. And after exploring Tokyo for 3 days, cramming in as much sightseeing as possible (while still only managing to visit a tiny sliver of everything there is to see and do), I can say Tokyo is an amazing and unique city! I put together this guide to help you plan your trip to Tokyo, without breaking the bank. Below you can find the map of our 3 day itinerary, Tokyo highlights, the Airbnb we stayed at and where to find the most delicious food in Tokyo… I hope this post will help you decide what to do and see in Tokyo in 3 days so you can make the most of your trip! Only have 1 day in Tokyo? Check this ‘24 Hours in Tokyo‘ guide! Tokyo day 1: Kagurazaka and Shibuya (including the famous Shibuya crossing). Tokyo day 2: Ueno Park, Asakusa and crazy Akihabara. Tokyo day 3: Tokyo Skytree, Roppongi Hills and Harajuku. You can find all the details of our trip (Tokyo highlights, budget information, transport details, best things to eat and where to stay in Tokyo on a budget) below. At the bottom of the post you can download the map as a pdf to take this with you on your Tokyo trip! We started our Tokyo sightseeing day in the afternoon (having just arrived from a long flight, I really needed to take a short nap before hitting the crowded streets). We visited two of Tokyo’s neighborhoods on our first day: Kagurazaka and Shibuya. Kagurazaka: a very cute neighborhood in the midst of Tokyo, known for its geisha houses and French cafes. Kagurazaka was a great place to start exploring! Shibuya crossing: probably the most famous pedestrian crossing in the world. Of course we had to visit this iconic place in busy Shibuya. What’s nice is that a couple of streets from the crossing there aren’t that many people at all. Walking around Shibuya neighorhood is a nice way to get to know the city and take in some of the craziness. 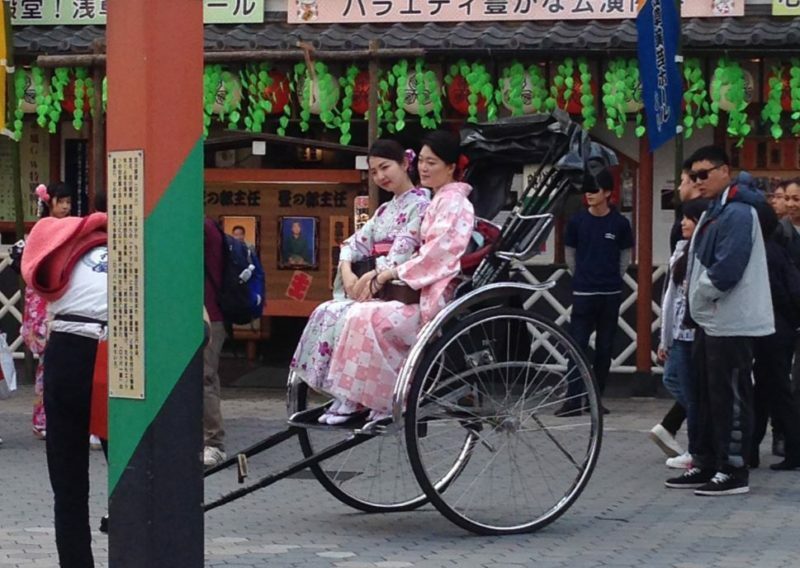 Because there are definitely some strange things to be seen in Japan. Our jet-lag was a little better and thus we headed out around 10am. First stop was breakfast with yummy shrimp tempura (more details about food in Tokyo further on in this post), the rest of the day we wandered through the different areas of Tokyo (Ueno, Asakusa and Akihabara). Ueno Park: a nice and quiet green zone in busy Tokyo. Though in some places of the park it was very busy, because there was some sort of school performance in progress. It was so much fun to watch! Asakusa: a beautiful and historic neighborhood in Tokyo. I loved strolling around this charming area! Akihabara: Akihabara is one of the more quirky neighborhoods of Tokyo. Well, it’s actually a little crazy: neon all over the place, noise and jingles coming from the countless electronic shops, people everywhere… In conclusion, sensory overload! But a unique area and visiting Akihabara is great experience. Walk from Asakusa to the Tokyo Sky Tree: I walked all the way from Asakusa to the Tokyo Sky tree and this was one of my favorite activities in Tokyo. For me, walking around is the best way to feel the vibe of a city and really get to know the place. Tokyo Sky Tree: from the observatory at 350 I overlooked the vast city of Tokyo, the size of which is truly impressive. Unfortunately I couldn’t see Mount Fuji (on a very clear day you can) but I could make out the Yokohama Landmark Tower, located 33 km away! It was also fun to spot a couple of places we visited the days before. FYI: we paid €33 for the two of us for the Tokyo Sky tree. This was the only highlight on our itinerary we paid for, the rest of the activities were free! Stroll from Roppongi Hills to Harajuku: I really liked the vibe in Roppongi Hills, there were cute cafes and nice boutiques. In Harajuku on the other hand, the amount of designer stores was overwhelming! 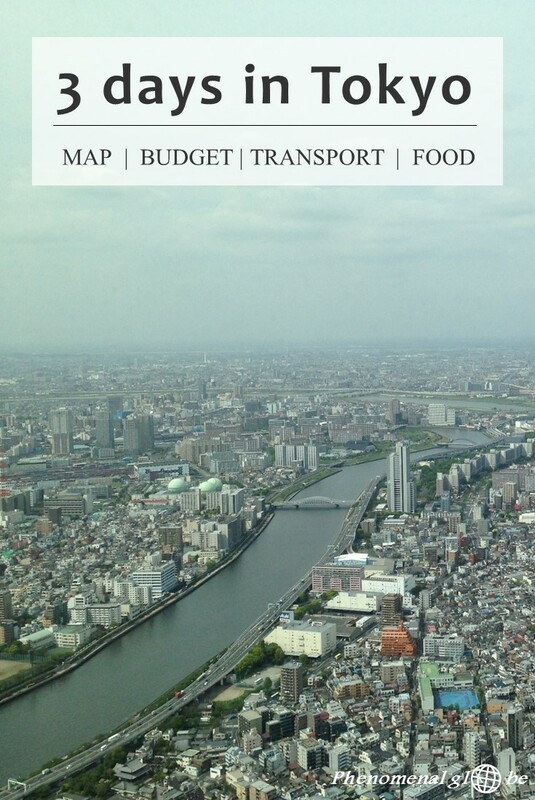 Want to read more about Tokyo? Check out this article with lot’s of Tokyo pictures! • I spent 3 days and 3 nights in Tokyo and traveled with my husband. • The starting and endpoint of our Tokyo trip was Narita airport, more about transportation from the airport to the city center is explained below. • In total we spent €330 in the 3 days we were in Tokyo, this comes down to an average of €110 per day for us as a couple. We stayed at Nicky’s Place via Airbnb for 3 nights. + Niki is a great host and made us feel welcome from the moment I booked the room. She provided excellent directions to the house and put up little notes in the apartment which made finding everything very easy. Tea and coffee are complimentary, the shower is good and everything is clean. Most importantly, Niki is so nice and it was great to meet her and her mother. The apartment is located in a in a nice green suburb, it’s a 5-10 minutes walk to the nearest metro station. A 7-11 and Family Mart can be found between the metro station and the apartment. – The walls are thin and the apartment is therefore rather noisy. • Click here to see the apartment on Airbnb. If you have never traveled with Airbnb before you can get €35 of your first Airbnb stay with this link! By using this link you will not only receive a €35 discount, you will also be helping me to stay on the road and create more content for this blog. I really appreciate your support! We arrived at Narita airport in the morning. From Narita there are various ways to get to the city center of Tokyo, but we choose to travel with the Keisei bus. The price for a single fare is ¥1000 (per person), about €8/$9. The journey takes around an hour, depending on the traffic. You can find all the information (timetable and where to find the bus stops at Narita airport and in Tokyo city center) on the Keisei website. Don’t worry, it’s in English! The advice I am going to give you now will safe you lots of money. I didn’t know this, but there is a 72-hour pass which entitles you to unlimited rides on Tokyo’s subway. This pass costs only ¥1500 per person! We didn’t buy this pay, not knowing it existed, and paid a lot more for metro rides. The first day we paid separately for each fare (the most expensive option so not very clever), the next days we got a ¥600 day ticket which also gives you unlimited rides for a 24h period. Anyway, if you buy the 72-hour pass you don’t have to spend ¥6200 (€50) on subway rides like I did, but only ¥3000 (€24) as a couple, saving you ¥3200 (€26)! Check the Tokyo metro site for more info, you can buy the pass at Narita airport. Oh Japanese food… It’s the best! 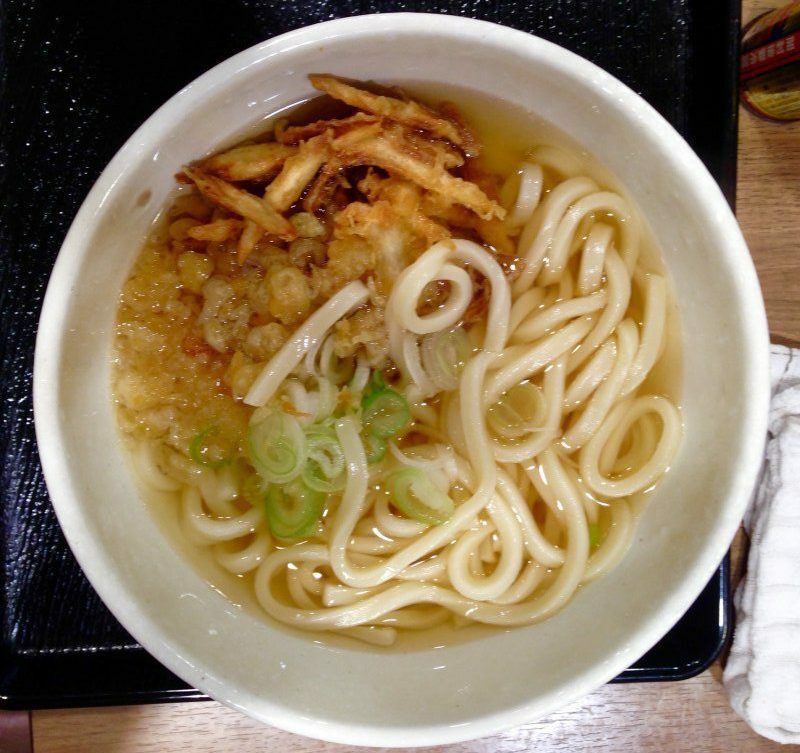 I have written an extensive post detailing my favorite food in Japan, which you can find here. Here is my favorite food in Tokyo. 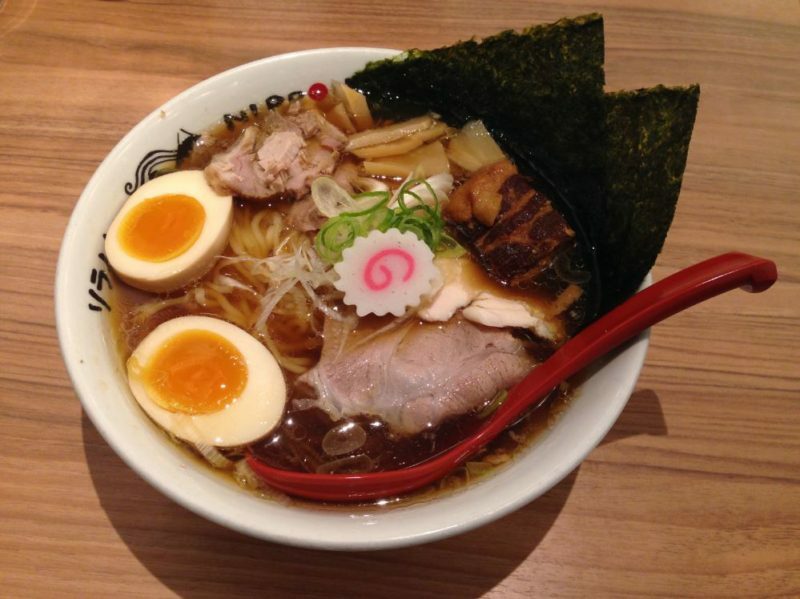 Where to eat this: 10 meters from Keisei bus stop nr. 3 on Sotobori Dori Street, across Tokyo station (Yeasu side). That’s about it, everything you need to know about a 3 day trip to Tokyo, have a great time! Do you want to read more about traveling in Japan? Check out my other posts here. A great post, thank you! i’m only there for one night/two days. What would you suggest? I’m feeling a little overwhelmed! I’m living in Seoul so pretty used to Asian culture, if that makes sense? Haha, I was really overwhelmed too, Tokyo is massive. But as you live in Seoul, I’m sure you’ll adjust quickly. 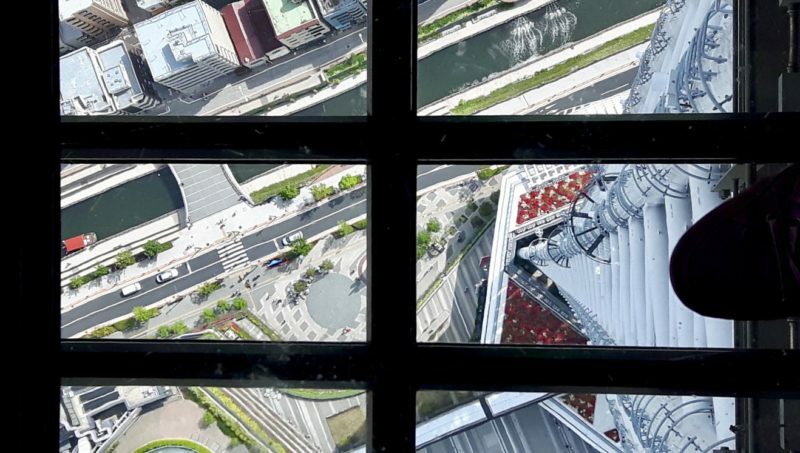 If you have 2 days, I would recommend to go up the Tokyo Sky Tree, the view from the top is amazing and gives you a really great impression of just how big Tokyo is. I would also go to Kagurazaka, it was my favorite neighborhood in Tokyo. And perhaps choose either Ueno Park or Asakusa. Have a great trip! Thanks Lotte for the blog. It’s very informative and helpful coming from your own personal experience. Plan to visit Tokyo in April 2017 and will check out your tips. Hello Mary, you are most welcome! I love sharing my experiences on the blog and I am always very happy to hear people find my posts useful. Have an amazing trip to Tokyo, hope you’ll catch the cherry blossoms when you are there:-). Thank you for publishing this excellent post. Isn’t Tokyo a fabulous city? We love it so much that we are going back this year and I am currently doing some research on things to do. Last time we didn’t pay enough attention to food. Where would you suggest going for someone who doesn’t like fish? Hi Lotte, you have a great blog. My wife and l (both 70+) are going on a organised tour in late March 2018. The tour finishes in Osaka and we’d like to go back to Tokyo for 3 days. What is the best way to get from Osaka to Tokyo i.e. 7 day rail pass or fly. Thank you for reading my blog:-). I wish you and your wife a wonderful trip to Japan, it’s a fascinating country! March is the perfect time to visit, you’ll be seeing the cherry blossoms (sakura!) and the weather on Honshu will be nice too. About your question, the JR Rail pass can be used on the Narita Express (https://www.japan-rail-pass.com/japan-by-rail/travel-tips/narita-tokyo) but not on the Tokyo Metro. For the Tokyo Metro you would be better of purchasing the Tokyo Subway 72-hour Ticket (http://www.tokyometro.jp/en/ticket/value/travel/#anc02). Because the JR Rail pass is quite expensive I think flying could be cheaper, Jetstar and Peach are usually cheap. However, if you plan on making day trips from Tokyo (to Hakone, Kamakura, Nikko, etc.) it could be worthwhile purchasing a rail pass. 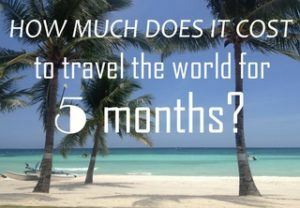 Long story short, it depends on what you plan to do during your 3 days in/around Tokyo! Thanks for your fast response. I think we’ll get a Shinkansen bullet train Osaka to Tokyo, then a 72 hour subway ticket to have a better look around Tokyo (Hakone included in organised tour). What do you think ? You are very welcome, I’m happy to help if I can! If Hakone is already included and you don’t plan to do any other day trip from Tokyo it’s probably cheaper to buy a single Shinkansen ticket from Osaka to Tokyo. You could also purchase a local train ticket, which will be cheaper but also a lot slower. Plus, the Shinkansen is also part of the Japan experience;-). About getting from Ginza to Narita: Ginza is very close to Tokyo station where you can take the Keisei bus. The price for a single fare is ¥1000 (per person) and it takes about an hour to get to Narita airport. 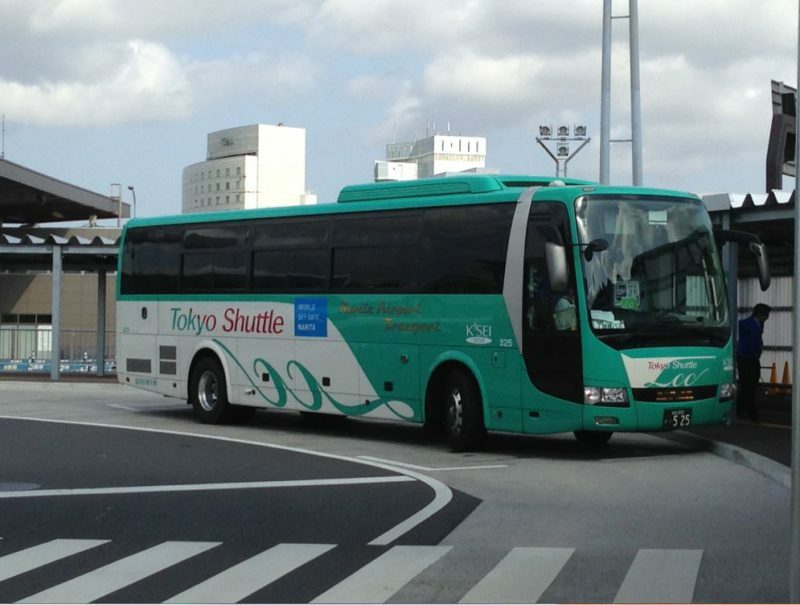 You can find more information here: http://www.keiseibus.co.jp/inbound/tokyoshuttle/en/. If you prefer to take the Narita Express train, you will have to travel by MRT to Shinjuku or Shibuya and transfer to the train there.